2018-10-31 16:00 WEATHER ACTUAL HAVANA CITY. Mostly clear and warm with a high of 28 Celsius. Light refreshing sea breeze. 2018-10-31 07:00 WEATHER ACTUAL HAVANA CITY. Pleasant weather with sunshine, light winds and temperatures in the mid-20s Celsius. 2018-10-31 03:00 WEATHER FORECAST. NATIONWIDE. There will be a good deal of dry and sunny weather across most of the country although it will be somewhat cloudier in the easternmost region with some showers, mainly in the afternoon. Daytime temperature will be between 28-31 Celsius (83-88 F), falling to 17-20 Celsius (63-68 F) overnight. Eastern winds of up to 30 km / h (15 mph) will cause some waves on the north coast of the west and east while the rest of the archipelago will enjoy calm sea on the beaches. 2018-10-30 11:30 WEATHER ACTUAL MATANZAS CITY. Sunny morning with high temperature and gentle winds. Light swell along the city coastline. 2018-10-30 07:00 WEATHER ACTUAL HAVANA CITY. Sunny start of the day, with light winds and a high of 25 Celsius. 2018-10-30 03:00 WEATHER FORECAST. NATIONWIDE. Today we will have a mostly sunny day with light northerly winds and highs around 30-33 Celsius (86-91 F), somewhat lower in the west and center. Some clouds will develop in the afternoon in areas of the eastern region with some showers but in general it will remain dry. Minimum temperatures overnight will hover 23-26 Celsius (66-72 F). There will be waves across north-western coast and calm sea in the rest of the archipelago. 2018-10-29 23:00 WEATHER ACTUAL HAVANA CITY. Mostly clear and nice with light winds from the north. Minimum temperature 26 Celsius. 2018-10-29 11:30 WEATHER ACTUAL VARADERO BEACH. Morning with clouds and occasional sun. Temperature not so warm, the thermometer shows about 28 Celsius. 2018-10-29 07:00 WEATHER ACTUAL HAVANA CITY. Nice start of the day with partly cloudy skies, light winds and a high of 25 Celsius. 2018-10-29 03:00 WEATHER FORECAST. NATIONWIDE. A dry and partly sunny morning with light northerly winds, perhaps the odd early light shower in areas of the north coast. Some showers are likely to affect eastern region in the afternoon, with most other areas remaining mainly dry. Maximum temperatures will hover 30-33 Celsius (86-91 F) but will feel less warm in the west. later on, in the evening, the mercury will descend to 20-23 Celsius (68-73 F) in the west, 23-26 Celsius (66-72 F) in the rest of the country. There will be waves on the north-west coast and calm sea in the rest of the archipelago. 2018-10-28 23:00 WEATHER ACTUAL HAVANA CITY. Nice weather with partly cloudy skies and light refreshing winds. Minimum temperature 25 Celsius. 2018-10-28 15:00 WEATHER ACTUAL MATANZAS CITY. Mostly cloudy and warm with scattered light rain in certain parts of the city. 2018-10-28 09:00 WEATHER ACTUAL HAVANA CITY. Partly cloudy with light northerly winds. High of 27 Celsius. 2018-10-28 03:00 WEATHER FORECAST. NATIONWIDE. It will be sunny and dry throughout Cuba although will be somewhat cloudier in the west and center. It will be remain warm but there will be a slight drop in temperatures across western part, 26-29 Celsius (79-84 F). Minimum temperatures overnight will hover 20-23 Celsius (68-73 F). Winds will come from the north, sometimes above 25 km/h (15 mph). The sea will stay calm in most of the archipelago with light waves in the nroth-west coast. 2018-10-27 23:00 WEATHER ACTUAL HAVANA CITY. Nice evening, not as warm, with light winds. Minimum temperature 26 Celsius. 2018-10-27 16:00 WEATHER ACTUAL MATANZAS CITY. Sunny and warm with weak winds. Maximum temperature 30 Celsius. 2018-10-27 08:00 WEATHER ACTUAL HAVANA CITY. Clear blue skies, plenty of sunshine and gentle winds. The thermometer reads 28 Celsius but feels warmer outdoors. Calm sea. 2018-10-27 03:00 WEATHER FORECAST. NATIONWIDE. Most of the country will enjoy a sunny and dry day although the approach of a weak cold front will produce some showers in the North-west region this afternoon. Daytime temperatures will hover 30-33 Celsius (86-91 F), descending to 23-26 Celsius (66-72 F) overnight. Winds will be light and the sea will stay calm in most of the archipelago. 2018-10-26 19:00 WEATHER ACTUAL HAVANA CITY. It begins to get dark and the sky is clear, the winds are weak and the thermometer shows 29 Celsius. 2018-10-26 11:30 WEATHER ACTUAL VARADERO BEACH. Morning with mostly clear skies, sunshine and high temperature. Calm sea along the beach. 2018-10-26 07:00 WEATHER ACTUAL HAVANA CITY. Nice start of the day with clear skies and a high of 26 Celsius. Weak winds and calm sea across the city coastline. 2018-10-26 03:00 WEATHER FORECAST. NATIONWIDE. People in Cuba can expect a mainly dry day with plenty of sunshine and weak winds. Top temperature will be between 31-34 Celsius (88-93 F) while the lows at night will be near 21 Celsius (75 F). Expect another day with calm throughout the archipelago. 2018-10-25 23:00 WEATHER ACTUAL HAVANA CITY. Warm evening under mostly clear skies. Weak winds and minimum temperature of 28 Celsius. 2018-10-25 11:30 WEATHER ACTUAL MATANZAS CITY. Sunny morning with high temperature and weak winds. 2018-10-25 09:00 WEATHER ACTUAL HAVANA CITY. A lot of sun, weak winds and a high of 29 Celsius (It feels warmer in the sun). 2018-10-25 03:00 WEATHER FORECAST. NATIONWIDE. Continental high pressures will provide continued dry weather throughout Cuba with warm sunshine and generally light winds. Daytime temperature will stay around 30-33 Celsius (86-91 F) while the lows at night it will be between 21-24 Celsius (70-75 F). 2018-10-24 17:00 WEATHER ACTUAL HAVANA CITY. Sunny and warm with just a few clouds around. Maximum temperature 29 Celsius. 2018-10-24 16:00 WEATHER ACTUAL VARADERO BEACH. Sunny and warm afternoon with gentle winds that cause light waves along the beach. Maximum temperature 30 Celsius. 2018-10-24 08:00 WEATHER ACTUAL HAVANA CITY. Plenty of sunshine, mild winds and a high of 28 Celsius. Calm sea along the Malecon. 2018-10-24 03:00 WEATHER FORECAST. NATIONWIDE. A dry and sunny day will be the story today for the most of Cuba although there's a chance of isolated early morning showers in areas of the north coast that will ease soon after. Highs will be in the range of 30-33 Celsius (86-91 F) during the day but the evening will be less warm with temperatures in the low 20's Celsius (70's F). Winds will be light, never exceeding the speed of 25 km/h (15 mph). 2018-10-23 15:00 WEATHER ACTUAL HAVANA CITY. Harsh sun, warm temperature and weak winds. High of 31 Celsius although it feels hotter in the sun..
2018-10-23 08:00 WEATHER ACTUAL HAVANA CITY. Clear skies, plenty of sunshine and weak winds. The thermometer marks 29 Celsius. 2018-10-23 03:00 WEATHER FORECAST. NATIONWIDE. Today's Cuba weather forecast is for most places to remain dry with sunshine aplenty and weak winds. Maximum temperatures during the day will range between 30-33 Celsius (86-91 F) while the lows overnight will be around 23-26 Celsius (66-72 F). Calm sea is expected in most of the archipelago. Winds will be weak. 2018-10-22 17:00 WEATHER ACTUAL HAVANA CITY. Intense sunlight, weak winds and a high of 30 Celsius. 2018-10-22 11:00 WEATHER ACTUAL MATANZAS CITY. Mostly sunny this morning in Matanzas city, with light winds and a high of 30 Celsius (Feels warmer in the sun). 2018-10-22 08:00 WEATHER ACTUAL HAVANA CITY. Sunny start of the day with light winds and temperatures in the top 20s Celsius. 2018-10-22 03:00 WEATHER FORECAST. NATIONWIDE. High pressures are dominating the weather pattern throughout Cuba so we can expect a mainly dry day with plenty of sunshine and generally light winds. High temperatures will be in the range of 30-33 Celsius (86-91 F), falling to 19-22 Celsius (66-72 F) overnight./br> There will be calm sea in most of the archipelago. Winds will be light all day. 2018-10-21 16:00 WEATHER ACTUAL HAVANA CITY. Clear skies, light winds and a high of 30 Celsius (Feels hotter in the sun). 2018-10-21 09:00 WEATHER ACTUAL HAVANA CITY. Sunny with some clouds and a maximum temperature of 30 Celsius. East-northeast winds at a speed of 11 km / h.
2018-10-21 03:00 WEATHER FORECAST. NATIONWIDE. It is going to be a sunny and warm day with highs around 30-33 Celsius (86-91 F) and generally light winds. Some clouds will appear in the afternoon but the chances of rain will remain low. Minimum temperatures overnight will hover 23-26 Celsius (74-79 F). Expect calm sea in most of the archipelago. 2018-10-20 16:00 WEATHER ACTUAL HAVANA CITY. Beautiful afternoon with mostly clear skies and light winds. The thermometer marks 30 Celsius. 2018-10-20 11:00 WEATHER ACTUAL VARADERO BEACH. Clear skies, harsh sunlight and light winds. Maximum temperature 31 Celsius. 2018-10-20 03:00 WEATHER FORECAST. NATIONWIDE. High pressures will dominate today's weather in Cuba, bringing dy, warm and sunny conditions for one more day. Top temperatures will be in the range of 30-33 Celsius (86-91 F) while the lows overnight will be around 21-24 Celsius (70-75 F). Winds will blow from the northeast with speeds between 10-25 km/h (7-15 mph) but will be somewhat stronger in areas of the north east coast. There will be waves along the north coast as well as in the southern strip between Punta de Maisi and Cabo Cruz. In the rest of tehe south coast the sea will remain calm. 2018-10-19 18:00 WEATHER ACTUAL HAVANA CITY. Mostly clear sky and warm temperature with a high of 30 Celsius (Feels warmer in the sun). There is swell along the coast of the city. 2018-10-19 07:00 WEATHER ACTUAL HAVANA CITY. Clear blue skies, harsh sunlight and light winds. Maximum temperature 27 Celsius. 2018-10-19 03:00 WEATHER FORECAST. NATIONWIDE. Today we can expect a warm, sunny and mainly dry day throughout Cuba with only well scattered showers in northern areas of central and eastern regions. Highs will hover 33 Celsius (91 F) during the day, falling to 23-26 Celsius (74-79 F) at night. Winds will be light to moderate. There will be unrest of the sea along the north coast and in the south-east while in the rest of the archipelago the sea will stay calm. 2018-10-18 18:00 WEATHER ACTUAL HAVANA CITY. Mostly sunny and warm with a high of 29 Celsius (Feels like 31 Celsius). Winds from the east-northeast at 22 km/h. 2018-10-18 18:00 WEATHER ACTUAL VARADERO BEACH. Sunny afternoon with mostly clear skies and light winds. Warm temperatures around 30 Celsius. 2018-10-18 08:00 WEATHER ACTUAL HAVANA CITY. Sunny and warm with a high of 28 Celsius. Winds blow from the north-eat at a speed of 18 km/h causing waves along the Malecon. 2018-10-18 03:00 WEATHER FORECAST. NATIONWIDE. Largely dry today with plenty of sunshine for many and light to moderate winds. However, patchy light rain or showers will affect northern parts of central and eastern regions, mainly during the morning. Temperatures won't subside, highs will stay around 30-33 Celsius (86-91 F) while the lows at night will hover 23-26 Celsius (74-79 F). There will be waves pounding the north coast and the same is expected in the south-east part. In the rest of the archipelago the sea will remain calm. 2018-10-17 22:00 WEATHER ACTUAL HAVANA CITY. Mostly clear and warm with occasional light drizzle in areas near the north coast. Maximum temperature 30 Celsius. 2018-10-17 16:00 WEATHER ACTUAL MATANZAS CITY. Mix between sun and clouds with some showers in places. Light winds and high temperature. 2018-10-17 07:00 WEATHER ACTUAL HAVANA CITY. The day has started sunny and warm, with clear skies and weak winds. The thermometer shows 27 Celsius. 2018-10-17 03:00 WEATHER FORECAST. NATIONWIDE. It will be mostly dry and sunny in the morning, although there will be scattered light showers in northern areas. It will become cloudy in the afternoon in inland areas from Artemisa to Granma with some showers and thunderstorms. Highs will be steady around 30-33 Celsius (86-91 F) while the lows at night will hover 22-25 Celsius (71-77 F). Winds will be generally light although could blow above 25 km/h (15 mph) in areas of the north coast. There will be waves across the north coast and in the south-east whereas in the rest of the archipelago the sea will remain calm. 2018-10-16 23:00 WEATHER ACTUAL HAVANA CITY. Night not so warm and with clear skies. The thermometer shows 27 Celsius but feels cooler because of a light northeast breeze. 2018-10-16 15:30 WEATHER ACTUAL HAVANA CITY. Sunny spells with some short-term showers in places. Light winds and a maximum temperature of 30 Celsius. 2018-10-16 11:30 WEATHER ACTUAL VARADERO BEACH. Sunny after a mostly cloudy start. Weak winds and high temperature. 2018-10-16 08:00 WEATHER ACTUAL HAVANA CITY. Sunny and warm with a high of 29 Celsius (Feels hotter due high moisture). Weak winds and light waves along the city coastline. 2018-10-16 03:00 WEATHER FORECAST. NATIONWIDE. High pressures will bring us mostly sunny skies today although some showers and thunderstorms are possible in the afternoon across inland areas of the country. Maximum temperatures will be steady around 30-33 Celsius (86-91 F) while at night, the mercury in thermometer will drop to values between 23-26 Celsius (74-79 F). Winds will be light all day but can exceed 25 km/h (15 MPH) in areas of the north coast. There will be waves along the coast north and the same is expected in the western south. In the rest of the south coast the sea will remain calm. 2018-10-15 23:00 WEATHER ACTUAL HAVANA CITY. Warm evening under mostly clear skies. Minimum temperature 28 Celsius. 2018-10-15 11:30 WEATHER ACTUAL VARADERO BEACH. Clear sky, sun and mild winds. High temperature, it feels like 34 Celsius. 2018-10-15 08:00 WEATHER ACTUAL HAVANA CITY. Clear skies, plenty of sunshine and weak winds. Maximum temperature 29 Celsius. 2018-10-15 03:00 WEATHER FORECAST. NATIONWIDE. A mainly dry and sunny day although increasing clouds in the afternoon will produce some showers showers and thunderstorms across inland areas. It will remain warm with highs around 30-33 Celsius (86-91 F) and lows overnight near 26 Celsius (79 F) at nigth. Winds will generally light. There will be waves on the north-east coast extending to the rest of the north coast later. The rest of the archipelago will see calm sea at the beaches. 2018-10-14 13:00 WEATHER ACTUAL HAVANA CITY. Sunny with some clouds coming from the northwest. Light winds from the northeast and maximum temperature of 30 Celsius. 2018-10-14 11:00 WEATHER ACTUAL MATANZAS CITY. Sunny morning with mostly clear skies and high temperature. 2018-10-14 03:00 WEATHER FORECAST. NATIONWIDE. A warm day is on tap throughout Cuba today with highs between 30-33 Celsius (86-91 F) and lows overnight in the mid-20's Celsius. The morning sun will be followed by overcast skies across western and southern areas with some showers and thunderstorms in the west. Winds will be light and variable. 2018-10-13 23:00 WEATHER ACTUAL HAVANA CITY. Mostly cloudy and damp with weak winds. The thermometer shows 28 Celsius. 2018-10-13 17:00 WEATHER ACTUAL HAVANA CITY. Largely sunny and warm with a high of 30 Celsius. Gentle winds. 2018-10-13 11:00 WEATHER ACTUAL VARADERO BEACH. Morning with mostly clear skies, sunshine and high temperature. 2018-10-13 03:00 WEATHER FORECAST. NATIONWIDE. After a sunny morning, clouds will build across western and southern parts of the country, bringing some showers and thunderstorms which will be scarce elsewhere. Temperatures will reach highs in the range of 30-33 Celsius (86-91 F) while the lows at night will be around 24-27 Celsius (75-81 F). There will be calm sea in most of the archipelago. Winds will be light. 2018-10-12 17:00 WEATHER ACTUAL HAVANA CITY. Harsh sunlight, weak winds and a high of 30 Celsius (Feels hotter in the sun). 2018-10-12 11:00 WEATHER ACTUAL VARADERO BEACH. Afternoon with mostly clear skies, sun and high temperature. 2018-10-12 08:00 WEATHER ACTUAL HAVANA CITY. Mostly sunny, warm and muggy. High of 30 Celsius but feel hotter outdoors. 2018-10-12 03:00 WEATHER FORECAST. NATIONWIDE. Mainly dry and sunny, but perhaps also some light afternoon showers in areas of the inland. It will be a warm day with highs of 31-34 Celsius (88-93 F) while the lows at night will be near 24-27 Celsius (75-81 F). Winds will be weak. Sea conditions will be calm in most of the archipelago with some waves only on the northern coast of the west and east. 2018-10-11 23:00 WEATHER ACTUAL HAVANA CITY. Warm evening under partly clouy sky. Weak winds and minimum temperature of 28 Celsius. 2018-10-11 11:30 WEATHER ACTUAL MATANZAS CITY. Morning with clouds and sun. Weak winds and high temperature. 2018-10-11 08:00 WEATHER ACTUAL HAVANA CITY. Mostly cloudy and damp with a high of 28 Celsius. Weak winds. 2018-10-11 03:00 WEATHER FORECAST. NATIONWIDE. Cuba's weather forecast is calling for a mix of sun and cloud during the morning turning cloudy in the afternoon with a chance of some showers and thunderstorms, mainly in areas of the inland and south. Daytime temperatures will reach highs around 31-34 Celsius (88-93 F), dropping down to 23-26 Celsius (74-79 F) at nigth. Winds will be weak. There will be waves on the nrothern coast of western and central regions while in the rest of the arcipelago sea conditions will stay calm. 2018-10-10 23:00 WEATHER ACTUAL HAVANA CITY. Mostly cloudy with high moisture levels and scattered light showers in coastal areas. Minimum temperature 28 Celsius. 2018-10-10 09:00 WEATHER ACTUAL HAVANA CITY. Cloudy and damp with a high of 29 Celsius. Light to moderate winds and storm surge along the city coastline, with flooding in some areas of the Malecon. 2018-10-10 03:00 WEATHER FORECAST. NATIONWIDE. Today it will be grey and cloudy throughout the country. There will also be showers in places, mainly in areas of the north-central coast and eastern region. It will be very mild too, though rather windy on the west. Top temperatures will hover 30-33 Celsius (86-91 F) during the day, descending to 22-25 Celsius (71-77 F) overnight. There will be storm surge in both western coasts with flooding in the lowlands. In the rest of the coasts the sea will be calm. 2018-10-09 11:30 WEATHER ACTUAL MATANZAS CITY. Morning with cloudy sky and occasional sunshine around noon. High temperature. 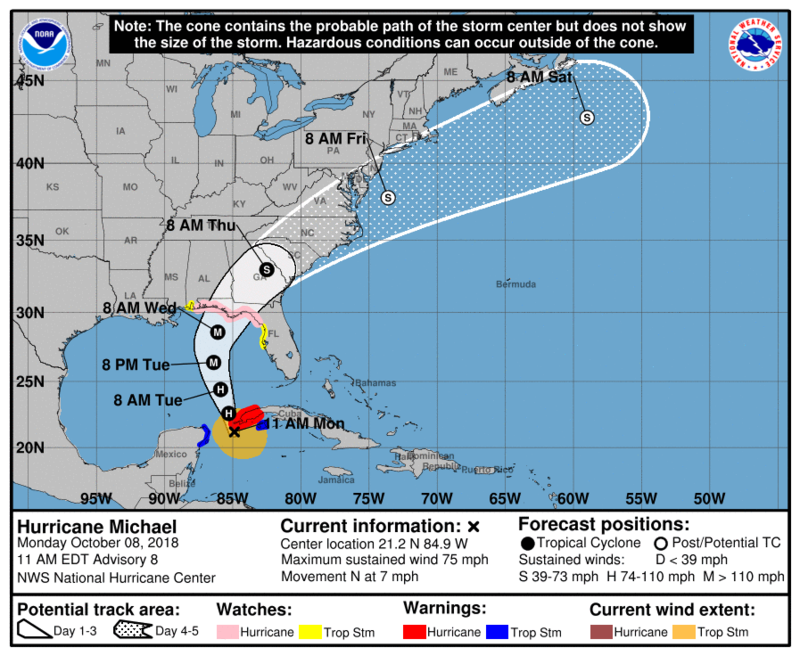 2018-10-09 10:00 - HURRICANE MICHAEL UPDATE. PINAR DEL RIO. More than half of the customers of the Electric Company in Pinar del Río have affected the electric service and more than 125 thousand users do not have electricity, due to the damages associated with the winds and heavy rains caused by Hurricane Michael. Territories with total damages are concentrated in Sandino, Mantua and Guane, caused by failures in the subtransmission circuits, which supply the fluid to the municipalities. 2018-10-09 09:00 WEATHER ACTUAL HAVANA CITY. Cloudy and windy with a high of 26 Celsius. Strong winds cause waves along the north coast of the city. 2018-10-09 08:00 - HURRICANE MICHAEL UPDATE. VINALES, PINAR DEL RIO. The Municipality of Viñales is without electricity and the municipal capital does not have water service. In addition, there are serious effects on public and cellular telephony. The passage to San Vicente, Playuela and Cayos de San Felipe is isolated by overflowing rivers and trees on the roads, in addition the center of the town also has obstructions in the road. More than 300 tourists are secure in hotels and houses for rent. 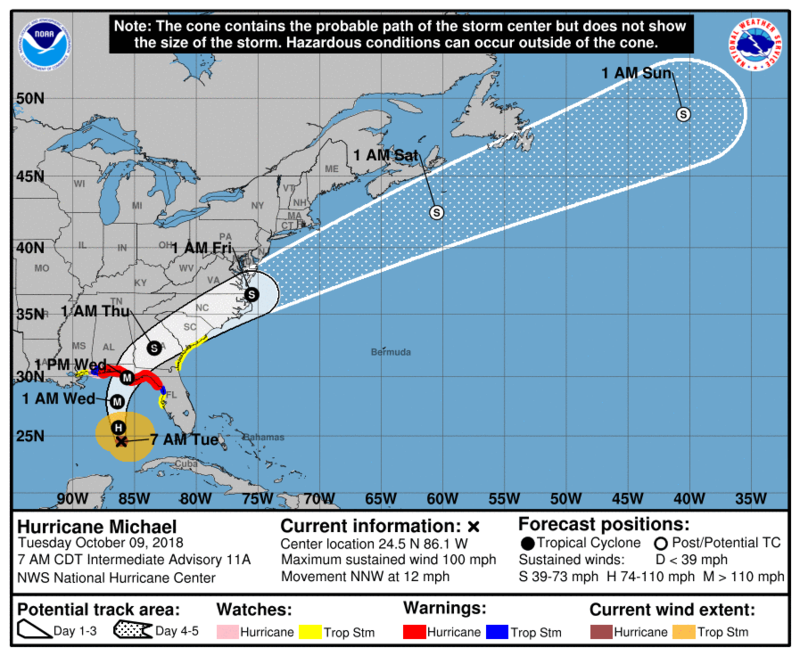 2018-10-09 07:00 - HURRICANE MICHAEL UPDATE. 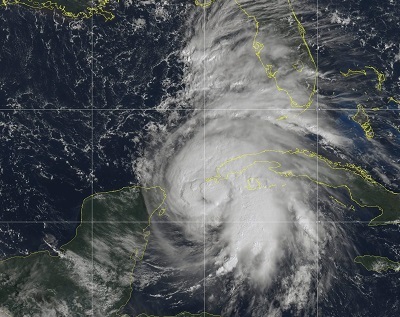 Hurricane Michael moves away from the western tip of Cuba. At 7:00 AM local time, Michael's eye was near latitude 24.5 North, longitude 86.1 West about 280 km NNW of Cabo San Antonio in the province of Pinar del Rio. Although the areas of heavy rains associated with this hurricane are concentrated mostly in near the eye, outside of Cuban territory, the rains will continue to hit the westernmost tip of Cuba, gradually ease towards the evening. The storm surge will continue to be a hazard for water activities on the south coast of the west and center of the country, causing coastal flooding in the lowlands of the south coast of Pinar del Río and Artemisa. 2018-10-09 03:00 WEATHER FORECAST. NATIONWIDE. It will be a cloudy day with some showers and thunderstorms in the west that will ease gradually towards the evening. It will be drier elsewhere although some patchy light rain are possible in places. Maximum temperature will range between 28-31 Celsius (83-88 F) falling to 23-26 Celsius (74-79 F) overnight. Southeast winds will blow in the west, with speeds between 20-35 km / h (12-22 mph), with higher gusts. These winds will cause strong swells in the south coast of Pinar del Rio and Isla de la Juventud, with coastal flooding in the lowlands. There will also be waves on the north coast of the western end and on the central south coast. In the rest of the archipelago the sea will remain calm. 2018-10-08 18:00 WEATHER ACTUAL HAVANA CITY. Cloudy and windy with light showers in places. The thermometer shows 25 Celsius. 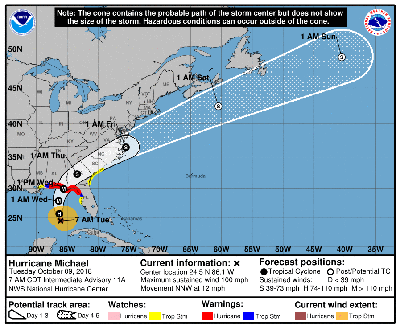 2018-10-08 16:00 - HURRICANE MICHAEL UPDATE. Hurricane Michael is moving toward the north near 15 km/h (9 mph) and at 4:00 PM local time, its center was located about 45 km (30 miles) NW of the western tip of Cuba. Portions of the province of Pinar del Rio are being hit by hurricane-force winds and heavy rains. Earlier this afternoon, a wind gust to 120 km/h (75 mph) was reported at an observing site in Isabel Rubio, province of Pinar del Rio. Coastal flooding has been reported in the town of Cortés, south coast of Pinar del Río, up to 50 meters inland. 2018-10-08 15:00 WEATHER ACTUAL HAVANA CITY. Spells of heavy rain with gusty winds. Maximum temperature 25 Celsius. 2018-10-08 11:00 - HURRICANE MICHAEL UPDATE. Michael becomes a Hurricane and continued strengthening expected. At 11:00 AM local time, the center of Michael was located near latitude 21.2 North, longitude 84.9 West, about 80 km south of western tip of Cuba. Michael is moving northward near 11 km/h (7 mph). 2018-10-08 09:00 - TROPICAL STORM MICHAEL UPDATE. At 09:00 local time, the center of Tropical Storm Michael was located about 100 km south of Cabo de San Antonio, westernmost tip of Pinar del Rio province, moving north to about 11 km / h.
Michael is expected to become a hurricane soon threaten western Cuba with heavy rains and strong winds, mainly in the provinces of Pinar del Rio, Artemisa, Havana, Mayabeque and the Isle of Youth. The combination of a dangerous storm surge and strong winds will cause coastal flooding in lowland of south-western coast. There will also be waves in the north-west. On the forecast track, the center of Michael will move northward across the Yucatan Channel today, and then across the eastern Gulf of Mexico this evening through Wednesday. 2018-10-08 07:00 WEATHER ACTUAL MATANZAS CITY. Cloudy with light rain at times. Maximum temperature 25 Celsius. 2018-10-08 03:00 WEATHER FORECAST. NATIONWIDE. Cloudy sky will predominate in much of the country, with rains and thunderstorms in the west, which will be heavier and frequent in the provinces of Pinar del Río, Artemisa and Isla de la Juventud. In the central and eastern regions there will be some showers and thunderstorms during the afternoon. Top temperatures will be 26-29 Celsius (79-84 F) while the lows overnight will hover 20-23 Celsius (68-73 F). Western parts of country will be hit by strong winds that can reach tropical storm force in the provinces of Pinar del Rio and Isla de la Juventud. In the rest of the country the winds will be light. There will be dangerous swell on the north and south coasts of the west with coastal flooding in the lowlands of the southern part. There also be waves on the north-central coast while in the rest of the archipelago the sea will stay mainly calm. 2018-10-07 23:00 - TROPICAL STORM MICHAEL UPDATE. Tropical storm Michael must cross today through the Yucatan Channel, near the western Cuba, and its rainy areas will continue to influence the western region. 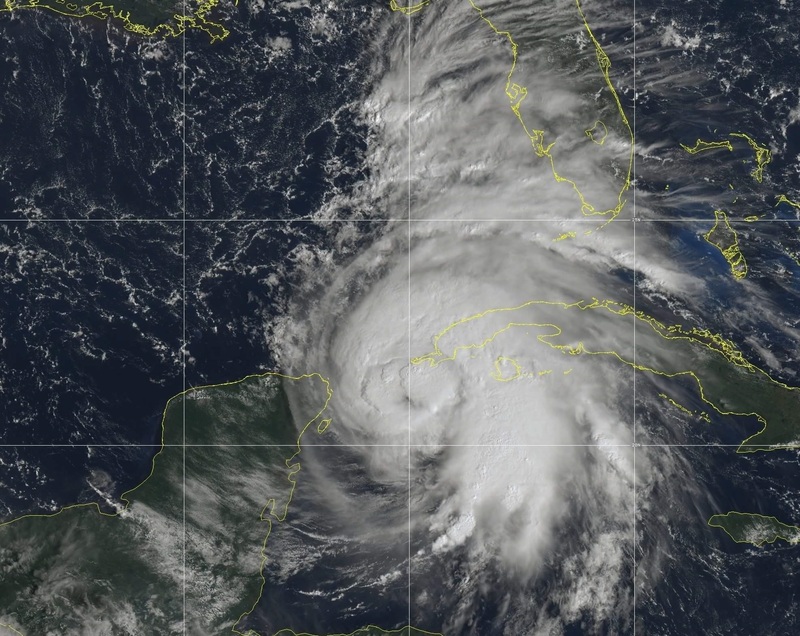 According to Cuba's Institute of Meteorology, the proximity of Michael will lead to an increase in winds speeds, which could reach tropical storm strength on Isla de la Juventud and Pinar del Rio provinces. Likewise, moderate to strong coastal flooding is expected in southern coast of the provinces of Pinar del Río and Artemisa, and from light to moderate in the south coast of Mayabeque and Isla de la Juventud. 2018-10-07 17:00 - TROPICAL STORM MICHAEL UPDATE. Tropical Storm Michael has formed this afternoon in the western Caribbean near the Yucatan Peninsula. Michael is causing heavy rains over western Cuba, especially in the provinces of Pinar del Rio and Isla de la Juventud. The tropical storm is currently about 305 km SSW of the western tip of Cuba and is moving toward the north-northeast near 6 km/h (3 mph). Michael is forecast to strengthen into a hurricane over the next couple of days. 2018-10-07 17:00 WEATHER ACTUAL HAVANA CITY. Cloudy with persistent rain, heavier in places. Maximum temperature 26 Celsius. 2018-10-07 11:00 WEATHER ACTUAL MATANZAS CITY. Cloudy morning with occasional sun. light winds and temperatures not so warm. 2018-10-07 03:00 WEATHER FORECAST. NATIONWIDE. It will be cloudy in most of the country with showers and thunderstorms in western and central regions, which can become strong and intense in Pinar del Río and Isla de la Juventud. Clouds and rains will cause a slight drop in temperatures; highs will hover 28-31 Celsius (83-88 F) during the day while the lows at night will be 21-24 Celsius (70-75 F). There will be light to moderate winds. There will be waves on the northern coast of west and east, as well as on the south coast from Cabo de San Antonio to the Isla de la Juventud. In the rest of the archipelago the sea will be calm. 2018-10-05 19:00 WEATHER ACTUAL HAVANA CITY. 2018-10-05 11:30 WEATHER ACTUAL VARADERO BEACH. Sunny morning with mostly clear skies, only isolated clouds near the midday. Light winds and high temperature. 2018-10-05 07:00 WEATHER ACTUAL HAVANA CITY. Sunny start fo the day with weak winds and a high of 27 Celsius. 2018-10-05 03:00 WEATHER FORECAST. NATIONWIDE. Mostly sunny and dry this morning, somewhat cloudier in the east. Later on, thicker clouds will produce some showers and thunderstorms in inland areas of the central region. Highs of 30-33 Celsius (86-91 F) are expected but up to 35 Celsius (95 F) over south-eastern area. Minimum temperature overnight will be around 21-24 Celsius (70-75 F). Winds will be generally light. Sea conditions will be calm in most of the archipelago with some waves only on the north-east coast. 2018-10-04 17:00 WEATHER ACTUAL HAVANA CITY. Sunny with just a few white, small clouds around. Warm, the thermometer shows 32 Celsius. 2018-10-04 11:00 WEATHER ACTUAL VARADERO BEACH. Bright sunshine and warm temperatures in Varadero. Weak winds and light waves at the beach. 2018-10-04 09:00 WEATHER ACTUAL HAVANA CITY. Dry and bright start of the day with a high of 29 Celsius. Mild winds and light waves along the city seafront. 2018-10-04 03:00 WEATHER FORECAST. NATIONWIDE. Sunny start of the day in most of the country although with the odd shower in areas of the north coast. It will cloud over in the afternoon in inland areas from Matanzas to Guantánamo with some showers and thunderstorms, which will be isolated elsewhere. It will stay warm with highs of 30-33 Celsius (86-91 F) and lows overnight around 24-27 Celsius (75-81 F). The winds will be light in general but in the afternoon they can exceed 25 km/h (15 mph) in the north west. There will be waves on the north western coast, as well as in the east; in the rest of the archipelago the sea will be calm. 2018-10-03 15:00 WEATHER ACTUAL HAVANA CITY. NMostly sunny and windy with a high of 30 Celsius. 2018-10-03 09:00 WEATHER ACTUAL HAVANA CITY. Mix of sun and clouds with some isolated drizzle. The winds are mild and the maximum temperature is 29 Celsius. 2018-10-03 03:00 WEATHER FORECAST. NATIONWIDE. It will start mainly sunny and dry although with the chance of some showers in northern areas. As the day progresses, thicker clouds and outbreaks of rain are likely to develop across inland parts of the island but they won't spoil your day. Max temperature will hover 30-33 Celsius (86-91 F) through the day, descending to 22-25 Celsius (71-77 F) at night. Winds will be light but will blow stronger in the afternoon in areas of the north coast. 2018-10-02 18:00 WEATHER ACTUAL HAVANA CITY. Sunny and warm with a high of 30 Celsius. Light to moderate north-east winds. 2018-10-02 08:00 WEATHER ACTUAL HAVANA CITY. Mix of sun and clouds with a few spots of light and short-term showers. Maximum temperature 29 Celsius (Feels warmer due high humidity and weak winds). 2018-10-02 03:00 WEATHER FORECAST. NATIONWIDE. Eastern parts will be rather cloudy with patchy rain that will extend into the evening. The rest of the country will enjoy a mainly dry and sunny day although there's a chance of some early showers in areas of the north coast. The warm temperatures won't subside, highs expected will hover 30-33 Celsius (86-91 F) while at night the mercury will descend to 24-27 Celsius (75-81 F). Winds will come from the northeast with speeds between 10-25 kmph (7-15 mph), higher in gusts in areas of the north coast. There will be waves on the north western and eastern coast, while in the rest of the archipelago the sea will be calm. 2018-10-01 17:00 WEATHER ACTUAL HAVANA CITY. Sunny and warm with light to moderate winds. High of 30 Celsius. 2018-10-01 11:00 WEATHER ACTUAL VARADERO BEACH. Sunny afternoon with only some clouds, light winds and high temperature. 2018-10-01 06:00 WEATHER ACTUAL HAVANA CITY. Cloudy start of the day with spells of heavy rain. Maximum temperature 27 Celsius. 2018-10-01 03:00 WEATHER FORECAST. NATIONWIDE. A cloudy start with some rain for easternmost region that will extend until dusk. Elsewhere it will be mainly dry and sunny although the odd showers cannot be completely ruled out in the afternoon. It will be a warm day with highs of 31-34 Celsius (88-93 F) during the day and lows at night near 22-25 Celsius (71-77 F). North-easterly winds, sometimes above 25 km/h (15 mph) will cause waves on the eastern coasts and the western north. The rest of the archipelago will enjoy calm sea at the beaches.